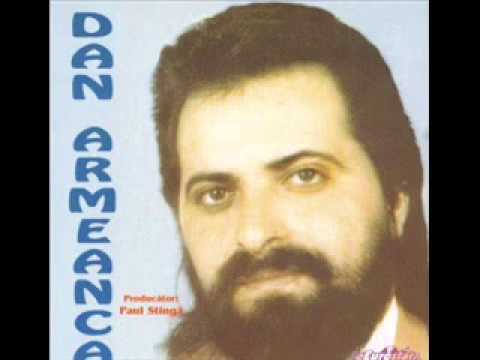 The most famous post-communist wedding music singer, Dan Armeanca, named 'the founding father of manele', returned to Romania after many years spent in Canada. 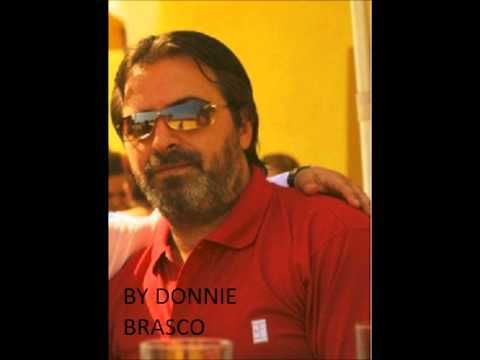 There is a widely spread confusion regarding Dan Armeanca as a “manele singer”. His music does not spring from manele, as it is rather simply authentic. His album Cântece țigănești is an example of professionalism, from the both vocal and orchestral points of view. Moreover, all 10 songs on the album are sung in Romani language. At the beginning of the ‘90s, Dan Armeanca was very hyped in Romania, as one of the most widely acclaimed wedding music singers. Despite his success, he decided to leave Romania for Canada. He was considered the “founding father” of manele, as during his career in the ‘90s Adrian Minune was just a child, and nobody had heard of Florin Salam yet. He was the king of wedding music and practically the inventor of the contemporary music style practiced by today’s manele singers. Last year he got back to Romania. We got in touch with Dan Armeanca to find out what he's currently doing, but also to learn a bit more, right from the source, about the manele and wedding music. Tell us what you’re doing now; you’re back from Canada and fully booked. How’s it going? Dan Armeanca: The rehearsals for the upcoming shows and gigs are the most important. At the same time, I’m also working on another project. A big band. An orchestra consisting of 15 musicians. This is all so far. I hope that in autumn the project will be accomplished. Do you compose new music? DA: New music, yes, I’m composing some pieces in tune with what’s being played now. I’m interested in what’s happening now, I want to be up-to-date. How do you see the current situation? DA: Professionally, not much has changed. There are numerous manele orchestras, at least 10. The sound has changed a bit, in comparison as to how it was when we started. The gear is more advanced…everything changed from this point of view. But in terms of melody, not much has changed. And do you intend to make a change? DA: Of course. I will reach a style sung more in Romani language and more modern pieces. More musicians will be sustaining this; there will be a bigger band. With a lot of work, anything can be accomplished. Why haven’t you been singing in Romani lately? DA: Because this was the trend. Actually, they translated the songs that I had composed, and are singing them in Romanian. I was singing them in Romani, and they are playing them as they’re being played nowadays. There hasn’t been much change since I had left and until I came back. Do you think the sound has been evolving in terms of quality? Leaving the technology behind, which let’s say has helped, do you think contemporary musicians are doing their best? DA: They’re very good instrumentalists, I don’t want to speak in any other way about them, but the sound is also defined by the tuning of the instruments. The problem is that they play very loudly, at the loudest volume. The gear is great, unlike before. But there isn’t an equilibrium in the sound, in the song…you play it very it loudly and then you cannot distinguish the synth, the tune, the timbre…or a violin, this is what’s going on. They’re playing with a fantastic force. And how do you explain this tendency of blasting it? DA: This is probably what the generation of today desires. They are accustomed to this now. If it were for you to play a bit more elegant and in the manner you should be playing, they wouldn’t react positively. This is bothering me very much. I’ve always played in a balanced, dosed manner…and now it’s not fashionable anymore. It’s changed; it’s been at least 25 years since then. I wish with all my heart to play the way you play it anywhere around the world. There is no place in the world with such a sound, maybe on the stadium, and there it’s not bothering anyone. But in a restaurant hall with maybe 100 people…there are thousands of speakers, and you realize, it’s too much. This is bothering me, the sound quality. The orchestras sound good, they’re very good instrumentalists, music school graduates, nothing to object here. But it depends on every player’s sense as an orchestra. If I dose the sound the right way, I respect the other musician. You have to have respect in a group. This is where the sound comes from. I play loud, he plays louder to be heard, etc. Ștefan: This is his advice when he studies with the band: he makes the members get along between them. DA: But this is fashionable now…it’s another generation. They want it really loudly. There are older people for example who place themselves next to the speakers, and at some point they leave, because of the volume. But the young ones aren’t bothered at all. I noticed you have an orchestra of young people. DA: Yes, of course. I have an orchestra of young people so I can keep up with them. How did you choose them? How did you reach them? 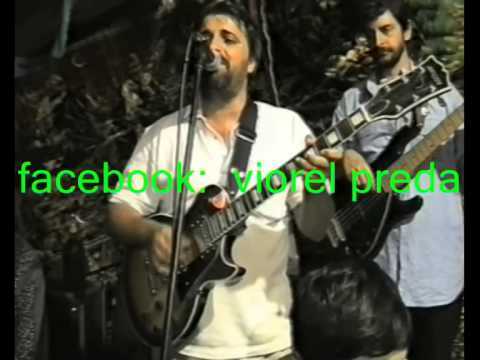 DA: The orchestra was nearly done, it was my son Elis’s orchestra, which I took over. Initially I wanted to pick up the orchestra I used to work with, and complete it, but the youngsters told me it’s more useful and handy to me to take them, already formed. This was a good thing for me as well. They have other mentalities, they’re young, they’re different. I’m thinking of making a change with them too, taking who remained from the old members and go to the music high school and pick some wood windists. There’s a lot of work, anyhow. I get along with them, but they get into quarrels starting even from a harmless joke, and it affects me a lot as well, because they divide into groups and don’t get along while playing. This is affecting me. But this is their mentality, they’re not the only ones, everyone is the same. Are the young ones willing to play in a different manner? DA: They’re anxious, young, rebellious. Sometimes you have to glue yourself to the phone to wake them up. A rehearsal is a rehearsal, when you decided for a time; you have to be there. A walk is a walk. Professionally, there are some things of great importance in an orchestra. Before, we would share a salami slice with 5 people, with a slice of bread, but when it came to rehearsals, you rehearsed. There are a lot of jokes, they’re not paying attention, it’s difficult…but I will take care of it. Could you tell us how you started, as a musician? DA: I will keep it brief. There’s a lot to tell. I met the boys with which I started this music genre at the 23 August factory. They were all working; I had a job as well. DA: 1980. I met them there. My brother was friends with a guy who was playing the drums there, and introduced me. I met them at the club. I met them and they asked me “do you want to come and play with us?’, they saw I was well-read and hard working. I tried, you know? They were already there. It was the factory band; they had shows every now and then. And we started working…slowly, slowly….and at the same time I was also doing this, trying to create a musical genre. Did you know what the genre was? And what road you had to take? DA: Yes, I knew. I was working by myself at night, but I had no back-up, no people. What were you playing with them? DA: At that time, pop music. DA: No, that’s what I was doing at home. I was preparing it by myself. How the bass would sound, how the drum would sound, but I had no people. But how did you reached that sound? What influenced you? DA: I listened to a lot of oriental music…I had the occasion…my entire family from the place I was born, Dambovita County, are builders: they were working abroad in the Arab countries at that time: Libya, Egypt, Irak. And I had tapes; I would listen to them all the time. I started to like it. I started to combine it with what I was already studying, the modern genre. I was playing after great guitarists, which I would listen on the cassette tapes. And I started composing, modifying the harmonic support, melodic support, metric support. And I started combining them. And with work, with a little luck and gift from God…I succeeded. We struggled greatly. We were studying 24/7. We didn’t even have time to eat. We said let’s struggle for 2 years and then we’ll be better. And so it was. And then you had your first release in 1990? How did you meet Mr. Paul Stinga, the manager of Eurostar? DA: He contacted me. I woke up with a call, on the landline, at my mother’s. He called me and asked me “do you want to make this record together?”. I had already started playing for people. More for gypsies. He probably saw me somewhere. His profession was a fiddler, a cymbalist. He proposed me this, we settled on the money. He made a great fortune out of the records, sold many issues. I didn’t know back then what a record made in Romania was, in this manner. It was something new I assume. In 1990 no one knew anything about this. DA: Yes. And we recorded at Electrecord, it was kind of the bigger studio in Romania. But it was less professional. They would record choirs, ensembles. When they took us with the synth and drums, it was a different sound, even for the sound guy there. Mr Sica, he was the most important sound engineer at that time. Did you collaborate well with him? DA: Very well. He was very content after we recorded; he called the Electrecord manager and told him “look whom I’ve recorded with here, some extraordinary guys”. “Come on, I don’t believe you” “Yes, we recorded for hours”. The manager liked it as well…it was something new. It was a beautiful change: drums, bass, synth, and clarinet. Many things happened, it’s a lot to talk about. After this we took part in this festival that would take place then, called “gypsy festival”, which then changed into “Rroma festival”. We participated in that festival along with 15 orchestras from the Balkans. 2-3 from Poland, 2-3 from Russia, Serbia, Bulgaria. And we came in first. But we were very prepared. We had worked for 6 months only for that, for that show. It was in 1992, in Gorzów, Poland. But we didn’t expect it though…I was happy and satisfied that we had stayed for a week at the summer theatre, open air space. There must have been around 100,000 watts on the stage. It was really beautiful. Everything was shot, but I lost the footage. I think it’s in the TVR (Romanian National Television) archive. I think they stole it from the luggage. I had my bag cut, and I didn’t find it when I came back. I had all the footage there. We had a small party at the Embassy of Poland, here, and made a little movie with the entire team. With the dancers, with Vasile Ionescu, I don’t know if this name rings any bell to you. It was beautiful. The prize was 20,000 dollars. When you recorded the first album, or a bit after that, did you know of the other bands that were singed with Eurostar, with Paul Stinga? For example Azur, or Nelu Vlad. There were many albums that were released at that time and who were framed in this so called “proto-manele” movement. DA: It had nothing to do with that. But did you know of them? DA: Yes, I did. Generic, Azur, Odeon, there were about 3 bands better known, but they were playing in a different manner, another genre. They were playing in a Romanian manner. It was also Albatros…But the other bands were better, more cohesive. The difference was significant. We were playing gypsy, Romani music, with a different background and support. It was the beginning. We had just woken up after the dark. There was no problem. This record thrilled many Romanians. And anywhere I go, they ask me for the songs on this record. But the perception has shifted meanwhile. DA: Adrian came up, who was my student. Salam who came with a showman style. He’s making a show. He is a very good singer, a very good performer. But if he were to play normally…it wouldn’t be a hit. He absolutely has to make this show. DA: Everything is on YouTube now. This YouTube appeared, this Facebook appeared. They messed with people’s heads. Probably it’s a good thing. You take information out of it. I, for one, don’t know much about the computer. I never wanted to learn. I was more preoccupied with the instrument. I’d rather study than be on my phone. I’d rather pick up my guitar and create or study something new. You were saying you would listen to great guitarists back in the days. DA: Yes, I would listen to George Beson, John McLaughlin, Jimi Hendrix. You’d listen also to steal, a bit from here, a bit from there. We all stole; there is no instrumentalist who didn’t steal. What’s important is to add something of your own. Even in Canada, I had a student who would play rock really well. And I would show him fiddlers. His parents are Romanians. And they were very eager for him to learn fiddling, which is very difficult and complex. For us, you are born with it. But a Romanian can learn just as well, if he works. He is a very good rock player. Very neat and coordinated, and I showed him fiddlers. And he wanted to combine fiddlers with rock. In the end, this will be his own style. And he understood, and started combining. He realized. How did you get to Canada? Why did you leave? DA: I met many great players there. I had the occasion to do this. Thanks to the fact that I played at Quebec Osho. I didn’t quite play with Romanians. They would do DJ parties mostly, not fiddlers’ parties. And I managed to play at Quebec Osho and I met many great players. I went by myself. I had a 10 show contract throughout all Canada: Toronto, Montreal, Vancouver, Edmonton. And I stayed for 6 years. I saw what loneliness is. Now I am used to being with my family, my children. Going there for a concert wouldn’t be a problem. But remaining there…no, never. You know, around the year 2000, there was an anti-manele campaign: “Culture Crusade”. How did you perceive it? DA: There was, yes. As you know, this genre was very controversial. I wasn’t on TV much because I did not want to. I can’t stand it. At some point, yes, there were very many among us who did not deserve their places. It was cash-based, they would pay and enter. And I didn’t want to be there. I tried to give to my audience and fans something professional. But slowly. Like a steak, bit by bit. Not everything at once, because they can’t eat it. I can create something that’s mine. Here, everything is mine. I didn’t copy one musical note from another place. Some others asked me “where did you copy this from?” There were no computers back then…cut and edit. We would start over. It was difficult. I’m not interested in what’s happening in the country now. It’s normal…we all have to play….good or bad, doesn’t matter. I want to start a huge project with Stefan. I chose him because he knows, and because he’s very intelligent. More intelligent than I am. I am intelligent musically. I know very well how to make music. I started working, and until I get what I want, I won’t stop. I’d rather stay in the studio, make the songs, polish them. I want to have 20 songs to start with. In Romani. Modern, made beautifully. There will be a lot of work. We will be 15. Wood windists, 3-4 violins, 2 synths, bass, percussion, 2 singers, background. In oriental area, but modern, contemporary. Could you tell us of some manele players you like, or who influenced you? DA: Honestly, I like them all, apart from the ones who are not applying professionally. Because there’s many of them. They appear, pay some money, make a song, and tune it on the computer with Antares…Sometimes a bit of out of tune is good…”Look, I had a sore throat, made the piece sound better” But you don’t have to go all the way…because it happens, your voice falls flat, it’s only human. I saw so many movies…how they tune the ones who can’t sing…really badly. They turn on Antares and make them sound good. I can’t accept this. We want to play in a more complex manner. It applies to harmony, to melody, to interventions, to the dressing. There are many methods of enriching an orchestra. You have to know where to place the interventions, where it’s asked for and where it deserves. There are matters of study. You don’t learn them in one day. I learned them in 30 years. Could you give us an advice you received from a musician? DA: You know what’s missing in the country? For our bands who play? For all the big names? Because there’s a very big wave. There’s a lot of glitter, too much promotion. They don’t have the ability of creating a play, everything’s being stolen and plagiarized. Until when can you steal? Until you reach a limit. The same limit has been reached abroad, where you can’t create anymore. You can’t. You have to struggle to create, otherwise you’re not doing anything. You have to be yourself. Nowadays you’re copying from Bulgaria, Armenia, Greece, Turkey. All the songs are copied. But the discussions about copyright are missing. Probably that moment will be reached too. They will explode: “man, you copied my song! You have to pay! The way abroad happens. You paid, you go to the person who created the play, to the agent, to the record label: “I want to make this song too” “It will be 15,000”. This moment will happen as well. You know how this season works, with weddings and parties…it’s difficult to rehearse, to play as well. The most suitable is when autumn starts. Retire, after everything’s over. Winter comes…you go and rehearse. You have a lot of time on your hands to do it. During the summer it’s complicated, you keep running from one place to another…it’s very tiring. Only by working you can accomplish things. Without work there is no result. It’s good that you still have the energy to keep the rhythm of the work. DA: I still have it. I’m 55. I hope I can still play for 5 years. This is how long I wish to perform. 5 more years I set for singing, I have set this goal which I will surely accomplish. At 60 I want to be healthy, sing without stress, take my grandparents, go places with them, take care of them. Sing at a party every now and then. I want looseness. Something will remain behind; I will do everything that’s possible for a new style to remain. Have you ever enjoyed this looseness so far? DA: Not really. I never had it. Because I played a lot. I would play for 300 days a year. Every year. Like Salam and Adrian do now, 200-300 days a year, I would play in Ceasusescu’s time, from ’87-’88 until 2000-something. You didn’t have time to rehearse. We would rehearse on stage, leaving for the wedding 2 hours earlier. We’d have a new play, we’d study it slowly and try it directly. The next day, you’d make another play.